Whilst I treat all kinds of fertility issues, the clients who make me run to work feeling excited and intellectually stimulated are those who are 38-45 years old with complex, multifaceted fertility issues. If you’ve been told there’s no real explanation for your fertility problems other than your age, if you’ve had multiple IVF failures, if you are sick of being in charge of all aspects of your journey without a safe person to hold you through it, then you will find a welcome home with me. 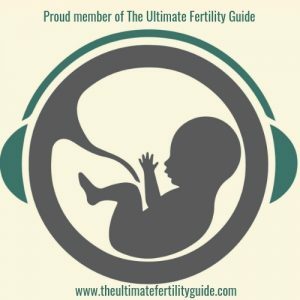 I’ve been in practice since 1999 and am an experienced fertility, gynaecological and obstetric acupuncturist and Herbalist specialising in complex autoimmune disorders such as unexplained infertility, recurrent miscarriage, hypermobility in pregnancy, PCOS, Endometriosis and other inflammatory conditions. I have also undertaken further specialist training in the area of female pelvic and sexual pain including Vulvodynia and Dyspareunia. I’m a fully qualified member of the Register of Chinese Herbal Medicine and of the British Acupuncture Council. I’m also a Recognised Doula (birthing assistant) and Doula Mentor with Doula UK. My treatments are designed to tackle the underlying causes of infertility and help men and women enhance their chances of conception naturally and in conjunction with IVF and IUI. Please note that currently I have around a 5-6 month waiting list for new clients. Customer service is very important to me, and I therefore only take on the number of clients to whom I can give a high standard of individualised care and attention. 1999 – I trained at the London College of Traditional Acupuncture as an Licensed Acupuncturist. 2001 – I trained at the London College of Traditional Acupuncture as an Oriental Medical Herbalist. 2001 – I qualified and set up in private practice as a general Acupuncturist. 2003 – I qualified and began to practice as a Herbalist. 2003 – I went into specialist practice, focused on fertility, gynaecology and obstetric work. 2005 – I began to teach small workshops on specialist issues such as PCOS. 2006 – My first article on Ovarian Hyperstimulation Syndrome (OHSS) was published in the Journal of Chinese Medicine. This has subsequently been quoted in several books which have been published on Traditional Chinese Medicine (TCM) and IVF. 2007/8 – I set up the first fully integrated Acupuncture/IVF Unit at Hammersmith Hospital with two of the UK’s leading Consultants in the treatment of infertility; Stuart Lavery and Geoff Trew. 2010 – I served on the Executive Committee at the British Acupuncture Council (BAcC), and initiated the Business Support Programme. 2012-13 – I was recruited by the BAcC Education Committee to write the initial specialist paper on Obstetric Acupuncture which formed the basis for shaping guidance for BAcC members on treating pregnant women. 2014 – I ran the Membership Department for Doula UK as part of the Leadership Team. 2015 – I began to lecture abroad, and teach advanced level courses on integrated medicine to TCM practitioners. 2017 – I took up a supporting role in the Feedback/Referral Team at Doula UK. I am also on the Supervision Register at the British Acupuncture Council. 2017 – I was invited to address the 48th TCM World Congress in Rothenburg where I spoke on The Diagnosis and Treatment of Habitual Miscarriage in Relation to Complex Gynaecological Disease. 2018 – I gave a whole-day seminar at the Integrated Fertility Symposium in Vancouver, and taught for a weekend at the TCM Academy in Holland. I will also be teaching the second cohort of practitioners on the Advanced Level Diploma for Fertility Acupuncture. 2019 – I will be teaching a weekend course at Chiway Academy in Switzerland on PCOS & OHSS, and later in the year will be addressing the 16th International TCM Kongress in Austria in a full day lecture on TCM and Autoimmunity. I will also be undergoing specialist training in Abdominal Fertility Massage. I will not be accepting any further teaching offers in 2019 in order to focus on writing a book. If you’d like to know more about the biomedical basis for acupuncture please visit these sites: the Acupuncture Research Resource Center and Evidence Based Acupuncture.